Canada National Easter Charity Seal Collection, 1949-60, English and French Seals, As Required. 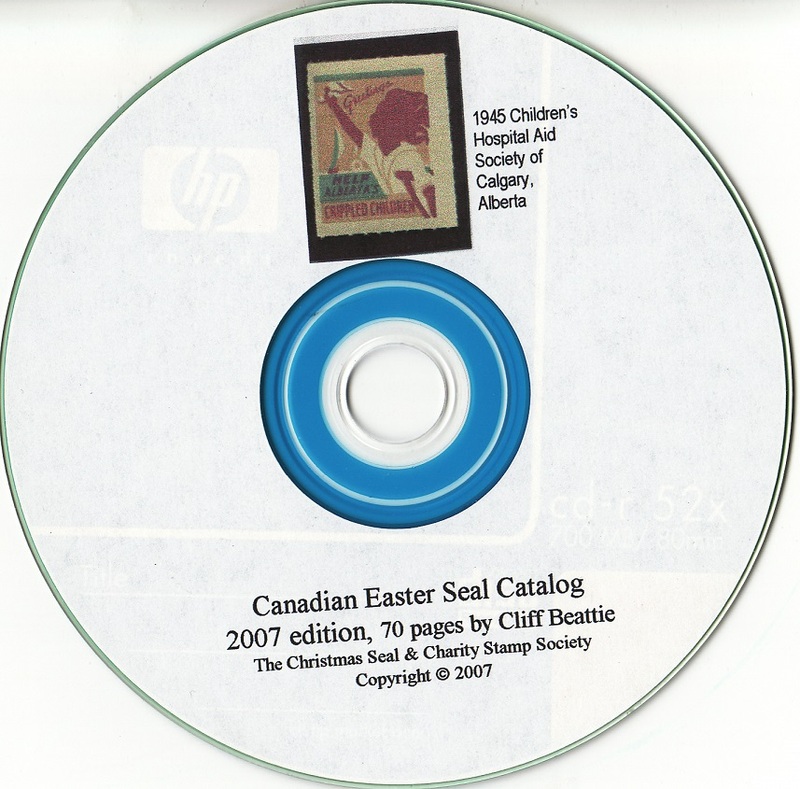 This collection includes the first Canadian National Easter Charity Seal issued in 1949. 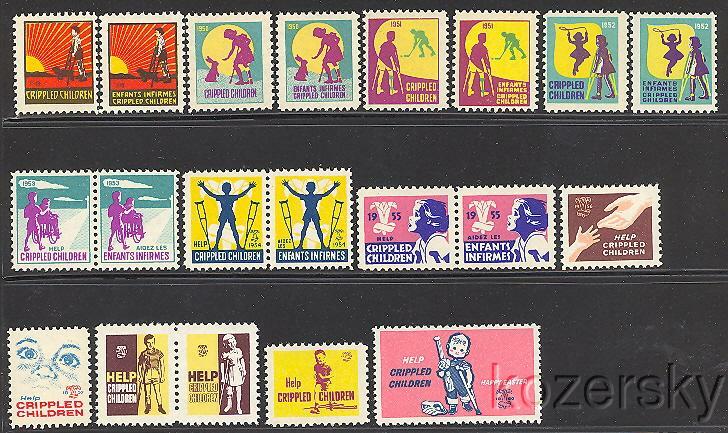 Easter Seals are usually classified as Charity Seals or Cinderellas Stamps. Canada National Easter Charity Seal Collection, 1949-60, English and French Seals, As Required, F/VF, MNH. No straight edges. This collection includes the first Canadian National Easter Charity Seal issued in 1949. Scan is an example of the collection. This is an excellent start to your Easter Charity Seal Collection. Seals in this packet are as follows: single stamps: 1949, 1950, 1951, 1952, 1956, 1957, 1959, 1960; setenant stamps: 1953, 1954, 1955, 1958. 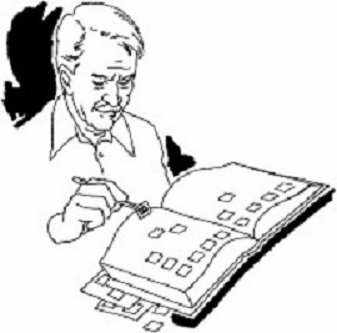 This is the assortment required to complete the various albums. Easter Seals are usually classified as Charity Seals or Cinderellas Stamps.